Counselling and psychotherapy for addictions, grief & loss, anger, depression, anxiety, gender & sexuality, workplace issues and trauma. 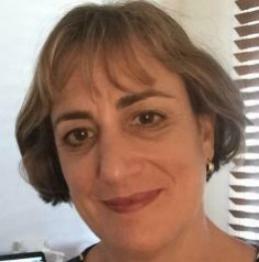 About me: Hi, I’m Helen, I am an accredited mental health social worker and psychotherapist with with a career spanning over 25years. As an experienced counsellor I provide a highly confidential and comfortable environment for clients to discuss issues that are affecting their lives. You will find me approachable and easy to talk to. How I can help: I support my clients to develop positive alternatives and act on choices that improve their health and wellbeing. I will help you to recognise and build on your strengths, develop new ways of thinking, and change unproductive patterns of behaviour. I am dedicated to helping my clients connect with their inner resources to develop hope, resilience and peace of mind. How I work: I have a client-centred approach to counselling, and use a number of effective counselling methods in my sessions. Therapeutic techniques that I use include: Cognitive-Behavioural Therapy, Mindfulness-Based Therapy, Mind-Body Therapy, Clinical Hypnosis, Solution-Focused Brief Therapy, Positive Psychology, and Acceptance and Commitment Therapy. Other things to note: I am available via Becon Health regularly. I encourage people to book in for multiple sessions at a time to ensure you ‘have a spot’, as my calendar can fill up quickly. If you would like to check if I provide a particular service, I would be happy for you to message me through Becon Health.